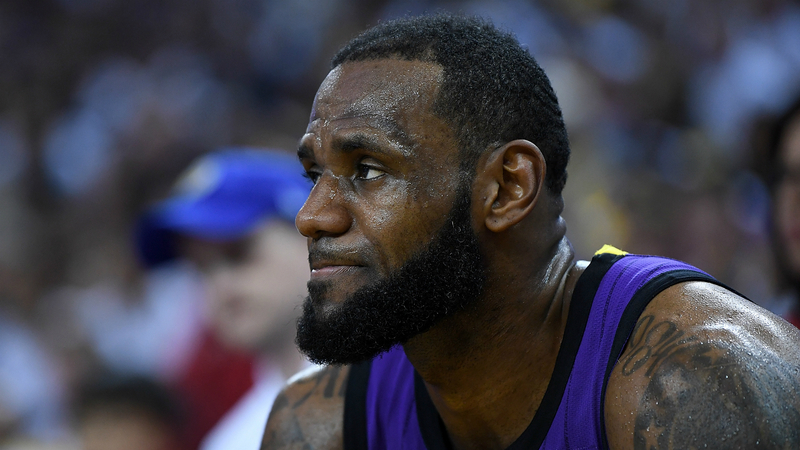 A disgruntled LeBron James says if any of his Lakers teammates are distracted by a push for the playoffs, then they should ask to leave the team. James made history by becoming the only player to be on NBA career top-10 lists in both points and assists as he finished with a triple-double (24 points, 12 rebounds and 11 assists) in Monday's 110-105 loss at Memphis. But the all-time great was not in a celebratory mood after a second straight loss in the Lakers' post All-Star break playoff push, undoing the good work of a comeback win against the Rockets. It means the Lakers are now 11th in the Western Conference and four games back of the eighth-place Spurs. The Lakers have endured a tumultuous season with injuries hitting the team and trade rumors never far from the headlines, but James says anyone who doesn't have the fight for the cause must leave. "At this point if you are still allowing distractions to affect the way you play, then this is the wrong franchise to be a part of and you should just come and be like, 'Listen, I don't [think this is for me]. I cannot do this,'" James told reporters (via ESPN.com). "Like, seriously, if you're distracted by playoff pushes out of all the stuff that's been talked about this year, nah. "Just come and do your job. We do our job at a high level and that's not a distraction. That's what you want. That's what you want every game. You want to feel like you're fighting for something." However, James is keeping an optimistic outlook as he aims to avoid missing the playoffs for the first since the 2004-05 season. "I just got to stay positive. Keep knocking on the door," he said. "And I felt like if we play like we did tonight, then we got to continue that consistent effort, that will get us over the hump as we make this push."